Steps to write a factory acceptance test FAT protocol for the equipment purchased for pharmaceutical manufacturing. 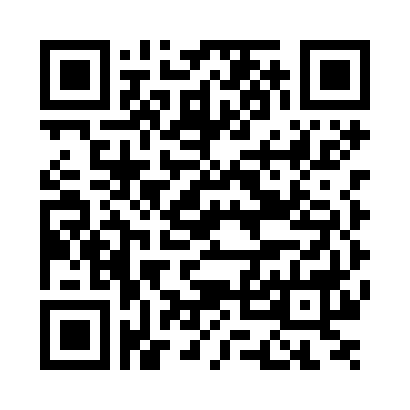 Sample protocol template is also available for download as pdf file. Factory Acceptance Test (FAT) is done at the equipment manufacturing site of the vendor before the shipping. A proper FAT can help to minimize the problems occur during the installation of the equipment at the site. A FAT protocol can be written as follows. 1. Purpose: Write the purpose of the FAT protocol as “to ensure that the equipment is designed as per the specification” and “ to check the basic performance of the equipment”. 3. Procedure: Write the full procedure to carry out the Factory Acceptance Test. 3.1 Write the procedure to check the operation of the equipment. 3.2 Write the action to be taken when any deviation is observed. 3.3 List of documents to be checked. 4. Documentation: Write the instructions for the documentation that is to be done during the Factory Acceptance Test. 5. Acceptance Criteria: Equipment and accessories should be according to the purchase order. Equipment should be as per the pre-designed parameters. 6. Verification Sheet: Include all tests and parameters those should be verified during the factory acceptance test. 6.1 Make: Write the make of the equipment. 6.2 Model: Write the model of the equipment here. 6.3 Capacity: Write the required capacity of the equipment. 6.4.1 Parts of the equipment and their design & specification. 6.4.2 Write the material of construction (MOC) of all parts as SS-308 or SS-316. 6.4.3 Include the quantity and other details of the specific parts of the equipment. 6.5 Control Panel: Write quantity and specific requirements to be included in control panel like auto or manual, emergency stop etc. 6.6 PLC: Write make, model and quantity of the PLC panel. 6.7 Temperature sensors: Write type, make, model and quantity of the temperature sensors. 6.8 RH sensors: Write make, model and quantity of the RH sensors. 6.9 Safety Features: Write the type of emergency stop, guards on moving and electric parts etc. 6.10 Documents: List of required documents like MOC certificate, manuals, calibration certificates and warranty cards etc. 7. Observed deviations: Write the deviations observed during this verification, their investigation, corrective action and if those are acceptable or not. 8. 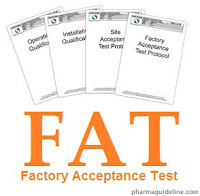 Conclusion: At the end of FAT protocol concludes the overall Factory Acceptance Test results if it is passed or failed.